Through our embassy in Havana, we have extended to President Raúl Castro and his government our deepest sympathies. We have also been in touch with the Cuban Ambassador in St George’s in this moment of profound grief. But, we can now all march forward on this path of development, appreciating that Fidel Castro will remain a towering figure not only in the history of Cuba but in our region. He has consistently been a friend of the Grenadian people, and under his leadership, Cuba has selflessly helped trained thousands of our current professionals, particularly in the field of medicine. Through the generous assistance of Cuba, ordinary boys and girls from working class families across Grenada were afforded a better chance in life. Under Fidel Castro, Cuba made international assistance and solidarity the core of its political DNA. In spite of his own challenges at home, and in the face of untold hostility, Castro found the political will to help Grenada build its current international airport, confirming Fidel as a great godfather of modern day Grenadian development. I have had the opportunity to meet with President Fidel Castro many times, and we were honoured to have officially hosted him here in St George’s in 1998. We were always amazed by his sense of patriotic duty to the cause of development in the third world and his understanding of the struggles and plight of his neighbours. His contribution of blood, sweat and tears to the liberation struggles in Africa must go down as one of the greatest chapters in human solidarity of the last 100 years. 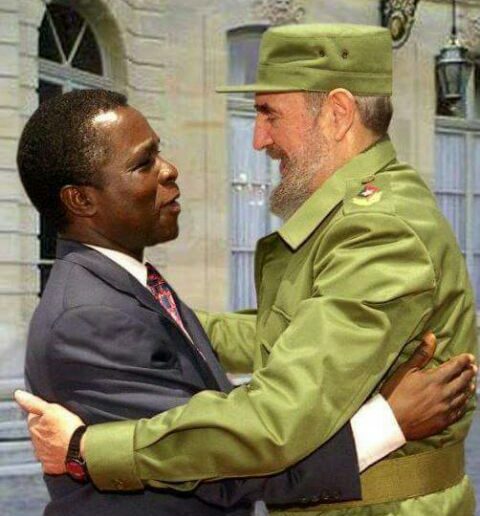 In Fidel Castro, Grenada had a long-lasting and permanent friend. But we now can rest assured that his legacy will endure, and his contribution to making this world a better place will always be remembered. History has indeed absolved him.